Gift Aid is a simple way to increase the value of your gift to Pancreatic Cancer Action – at no extra cost to you. If you pay tax in the UK, we can reclaim the basic rate tax (25%) on your gift. So, if you donate £100, it is worth £125! Is my donation eligible for Gift Aid? In order for us to reclaim the tax you have paid on your donations, you must have paid income or capital gains tax (in the UK) for each tax year (6 April to 5 April) at least equal to the tax that all the charities or Community Amateur Sports Clubs that you donate to will reclaim on your gifts for that tax year. Other taxes such as VAT and Council Tax do not qualify. Can I claim GiftAid on the funds I have raised? To claim GiftAid on your fundraising, we must have the first name or initials, last name, full home address and postcode of each individual donor/sponsor. So please encourage them to tick the Gift Aid box on your sponsorship form when they sponsor you. 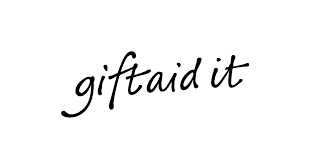 Without these details we legally can’t claim Gift Aid – so be strict with your supporters! How do I sign up for GiftAid? The process is simple – all you have to do is make a Gift Aid declaration. If you are donating on-line, just tick the Gift Aid box on the donation form. You can download a Gift aid declaration form here and send it in to us. What about past donations and future donations? We can reclaim tax on all donations you have made for the four years prior to this year, and all donations you make from today’s date until you notify us. How long does GiftAid last? Until you tell us otherwise! What do I do if my tax status changes?